Instant calculations, full Truth-in-Lending disclosure, Dealer Reserve (Participation) calculations included. Accurate for loans up to $10,000,000,000.00 with terms to 40 years (480 months). 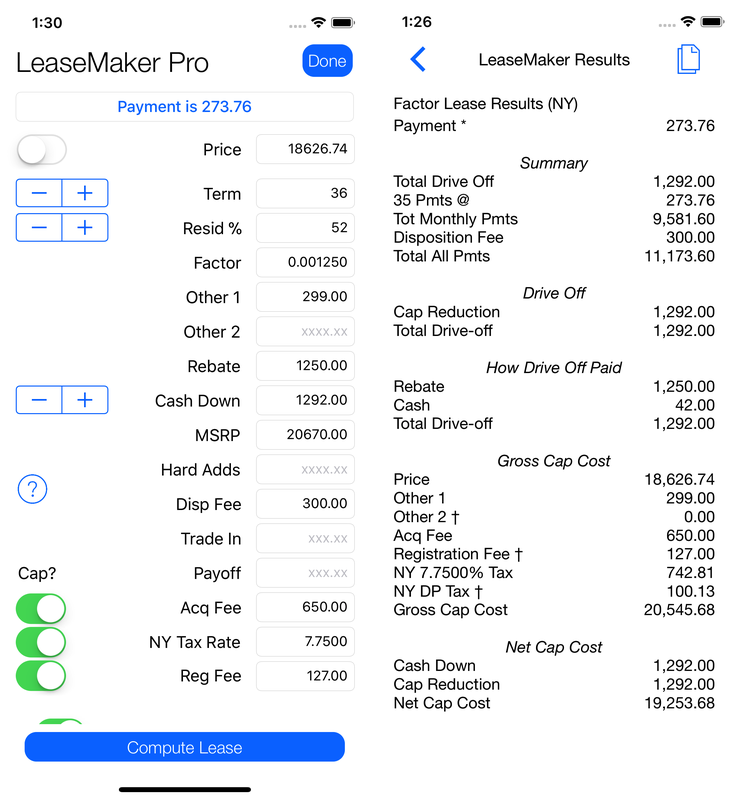 Turn more ups into deals with our new LeaseMaker Pro iPhone/iPad App for professionals in the auto industry. Fast, accurate, and a pleasure to use. Works anywhere (no internet connection required) - you can solve your customers' needs on the spot. Instant calculations, full Regulation M disclosure. Solves leases (including taxes) backwards and forwards including sales tax. Try the new i23a LoanMaker i23a WebService now. 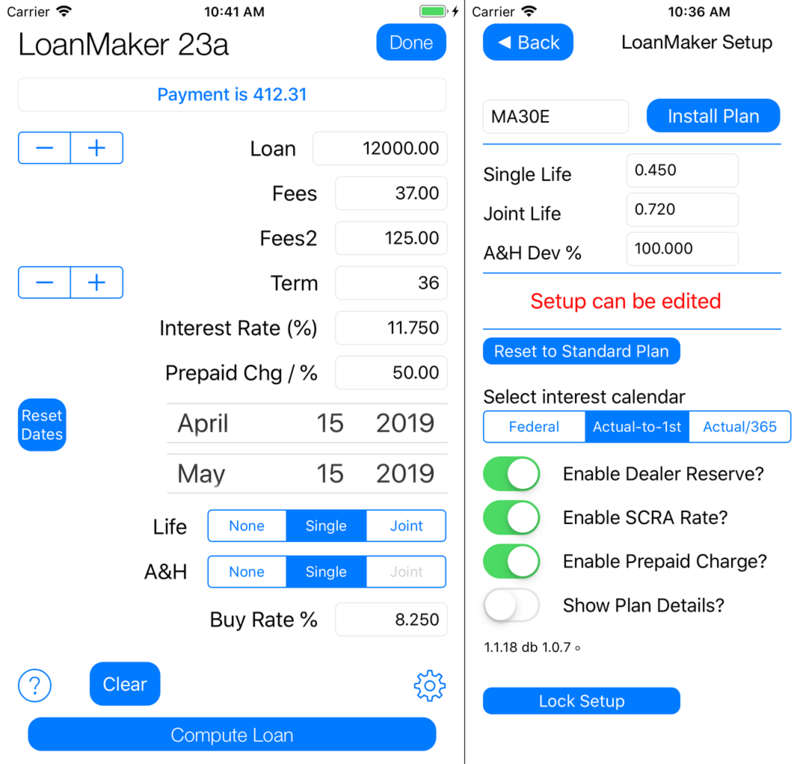 Buy or update a LoanMaker Calculator now. Buy or update a LeaseMaker Calculator now. Buy or update a 671B Mortgage Calculator! selecting it from this drop-down list and then clicking Go!